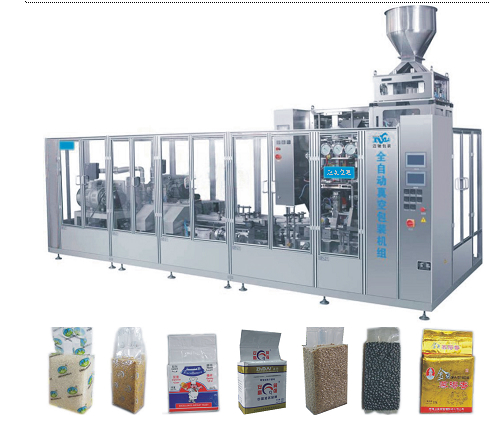 500N/500N2 internal extraction vacuum packaging machine can realize functions of fully automatic feeding, weighing, bag-making, shaping, vacuuming, sealing，cutting and conveying of finished products. The bulk material is packed into high value-added hexahedral small package. This unit is widely applied in vacuum packaging of cereals, rice, coffee powder, etc., and suitable for massive production requirements.